on people’s livelihoods and to provide guidance in targeting peace building and recovery interventions. 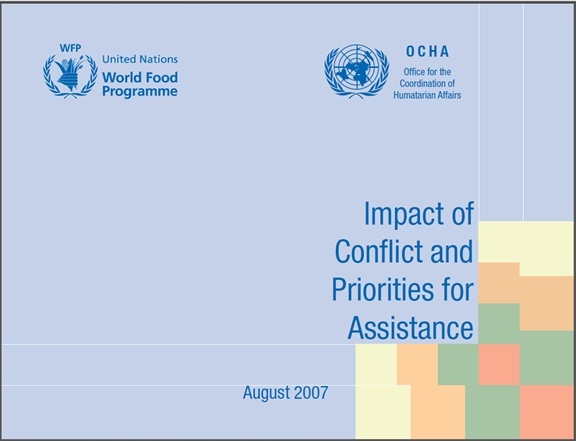 Information and data was collected by the WFP field-based surveillance team during a rapid assessment in April 2007 which covered 37 districts of the country. Heavy rain for a period of two weeks caused major flooding in the Terai at the end of July. In mid-August, a second period of rain resulted in renewed flooding in many areas. By the end of August most flood water had receded and areas were accessible again, however continued rain since then may cause further flooding and hardship for poor Terai communities. Flooding is a recurrent problem during the monsoon period in the plains of Nepal and there is an urgent need for a longer-term solution to mitigate the impact of flood water in the these districts through river training programmes, river drainage, embankments, building of higher shelter houses and disaster preparedness programmes for the most vulnerable areas. The Mission assessed the 2007 wheat as well as barley (minor crop) production, which were being harvested in many parts of the country in March and April. Wheat production increased by more than 7 percent due to favourable weather conditions and extra efforts made by farmers and government. 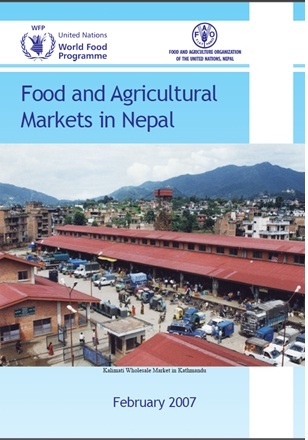 As part of WFP preparation for the protracted relief and recovery operation “Food Assistance for Conflict-Affected Populations in Nepal”, starting in July 2007, a synthesis of findings from various assessment and information from WFP’s Food Security Monitoring and Analysis System took place to guide the planned relief and recovery operation.